FOR USE BY ABC SALES CLIENTS AND AGENCIES ONLY. Disney ABC Ad Sales - All Access App by Mediafly is a content management tool to centrally distribute relevant materials to its authorized users and clients, both internal and external to ABC, Disney and Freeform Networks and their partners. 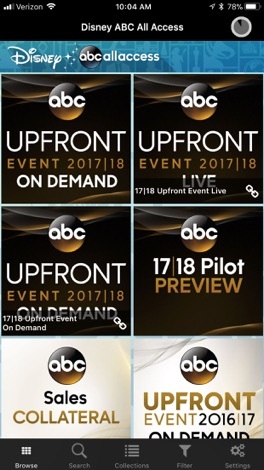 This is the perfect industry app for access to Disney ABC's Adult Upfront and related materials. Intended for use by pre-approved Disney ABC advertising clients, All Access gives you live and on demand access to the May Schedule Announcement, along with the ability to stream new show pilots (for a limited time). This application is available exclusively to users who have received pre-authorization. 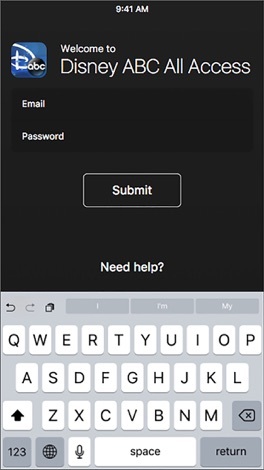 A valid login and password is required to use the Disney ABC All Access application. The rivalry between the Rising Sun motorcycle crew and American Hogs comes to a head on the dark city streets. The battle for the pavement ensues. Help the Rising Sun motorcycles speed past the biker hogs while avoiding spiked road traps, angry street raccoons, and orange cones to reclaim the streets!